An exquisite variation to a well known world classic – Black Earl Grey. 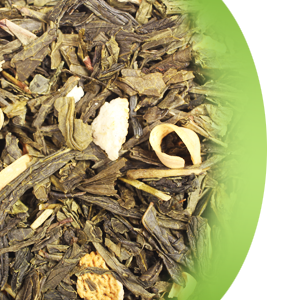 This particular blend offers the best of the green sencha bright flavors, high quality bergamot, lemon peels and orange blossoms. Excellent by itself, without any cream or sugar, it makes a perfectly refreshing, aromatic medium body cup.